It was almost an otherworldly experience for a Calgary beer league hockey squad, playing before hundreds of spectators and signing autographs for star-struck kids. And now they’re also world champions. Sort of. 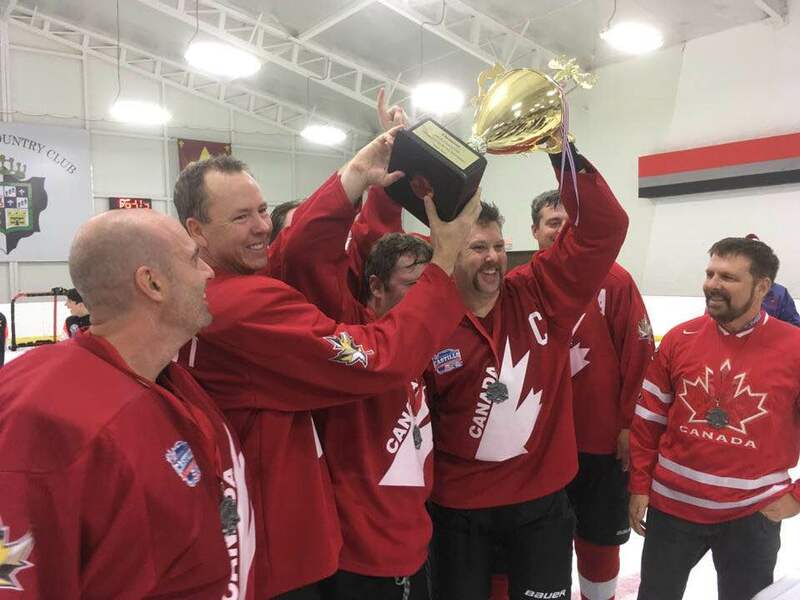 The eight-member Canadian Citizens hockey team won Costa Rica’s first-ever hockey tournament, an unlikely four-team weekend event that came to be thanks to a 20-year effort by former Calgarian Bruce Callow to build a hockey program in the Central American country. Joining the Calgary squad in the tourney were teams from Los Angeles, the U.K.’s Falkland Islands, and the hometown El Castillo Knights, of which Callow is a member. For Calgary’s Kyle Kemp, the entire event was a once in a lifetime experience. “It was definitely a really cool experience,” said the 37-year-old, calling from Costa Rica on Monday, a day after his team won a see-saw 7-5 championship game against the Los Angeles Ruination. With an ice surface about half the size of a Canadian rink, low boards and no glass partitions, Kemp said the teams had to adapt, playing three-on-three with no slapshots. But it didn’t remotely diminish the experience. Callow, still aglow about roofing a goal of his own against his hometown team, said local hockey fans were thrilled at how well the tournament came together. “They were totally blown away. For our local team, it was an important learning experience as we had never actually played another team before,” he said. It’s been a banner year for the Calgary transplant, who over the summer saw the crimson El Castillo Knights jersey worn by his Costa Rican-born son hoisted among some of the legendary names in Toronto’s Hockey Hall of Fame. Even though Callow’s Knights came up short in each of their four games, he said he was more than happy to watch the Calgary team take home the medals. “I played on the Knights tournament team, but I was cheering hard for the Citizens in the final,” he said. Kemp said he and his teammates, who range in age from 32 to 50, plan to spend the rest of the week in Costa Rica, returning to Calgary on Friday. And he’ll be first to volunteer for any future tournaments in the growing Central American hockey mecca. The Kontinental Hockey League is getting closer to preventing its players, including potential members of Team Canada, from playing in the 2018 Winter Olympics in Pyeongchang, South Korea, according to reports. Russia’s State Duma, the lower house of parliament, is reportedly assisting the KHL in preparing a bill to allow the league to withhold its domestic and foreign-born players from playing at the upcoming Games. Chernyshenko also said the IOC “is destroying the existing world order in sports” by pursuing doping cases against Russians in other sports who are suspected of using banned substances around the time of the 2014 Winter Olympics in Sochi. 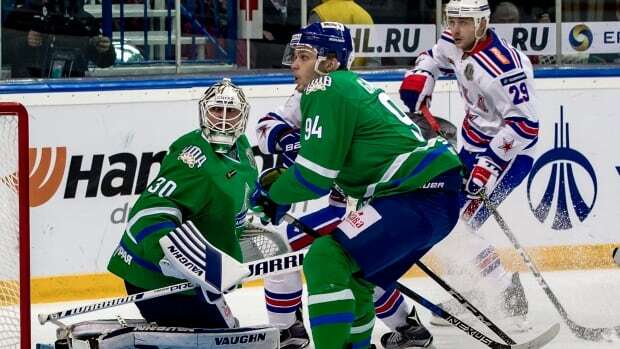 If enacted, the KHL ban would be detrimental to many of Canada’s Olympic hockey hopefuls — 16 members of Canada’s 25-man-roster at the recent Karjala Cup in Finland play in the KHL, including goalie Ben Scrivens and forwards Wojtek Wolski and Teddy Purcell. Countries like Finland and Sweden would be impacted as well, especially given the fact that Helsinki’s Jokerit is a prominent team within the predominantly Russian league. The efficacy of a KHL ban is still up in limbo, given that Canada and the United States believe their KHL players are eligible for the Olympics, according to TSN’s Bob McKenzie. “KHL, being a member of the Russian Ice Hockey Federation, has to follow the statutes and bylaws of the IIHF and they have to release foreign players and the national team players from other countries to play in the Olympics,” International Ice Hockey Federation president Rene Fasel told Russian news agency TASS. The ban would presumably excluded prominent Russian players like Ilya Kovalchuk, Pavel Datsyuk and Andrei Markov from representing their country at the Games. Russia’s participation in the upcoming Olympics is still to be determined by the IOC, which will decide the country’s fate on Dec. 5, according to The Associated Press. “We hope that the IOC will decide in favor of the Russian team going to Pyeongchang. In ice hockey we do not have really big problems in doping and regarding the McLaren report we do not have any of the men hockey players being in concern,” Fasel says.